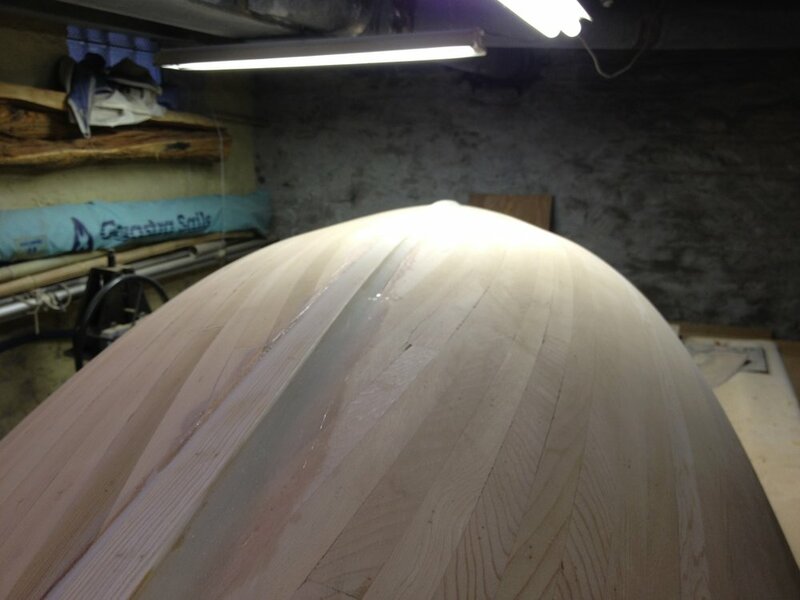 This boat was created as a test platform for the continuing development of the $900 sailboat project. 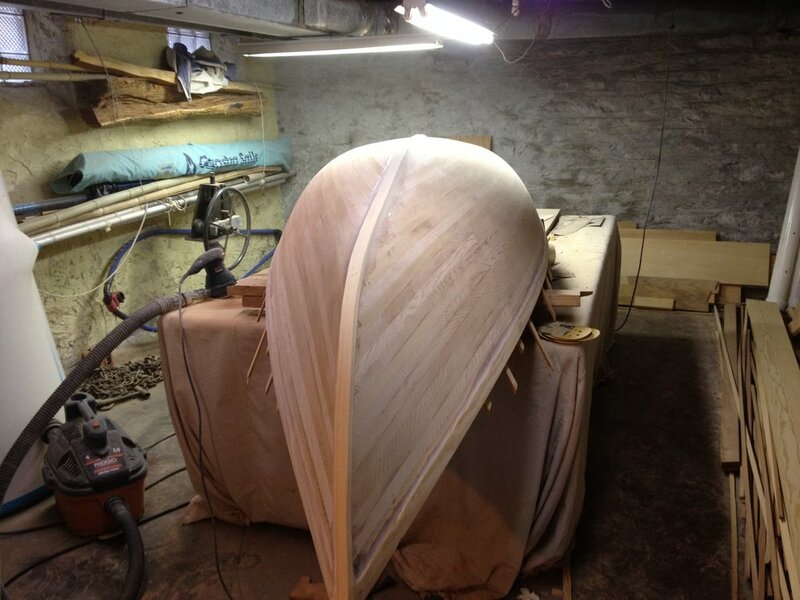 Having settled on the sail canoe as a basic form and having completed a skin-on-frame prototype, I completed this strip-planked prototype to further refine the hull form. 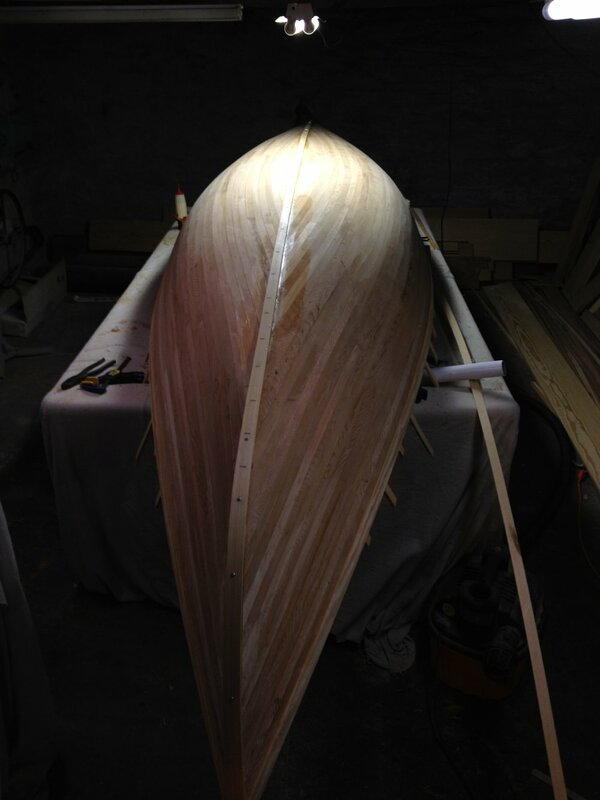 This prototype includes a sliding daggerboard and mast step to determine final positions for both center of resistance and center of effort. The photos below document the hull construction. 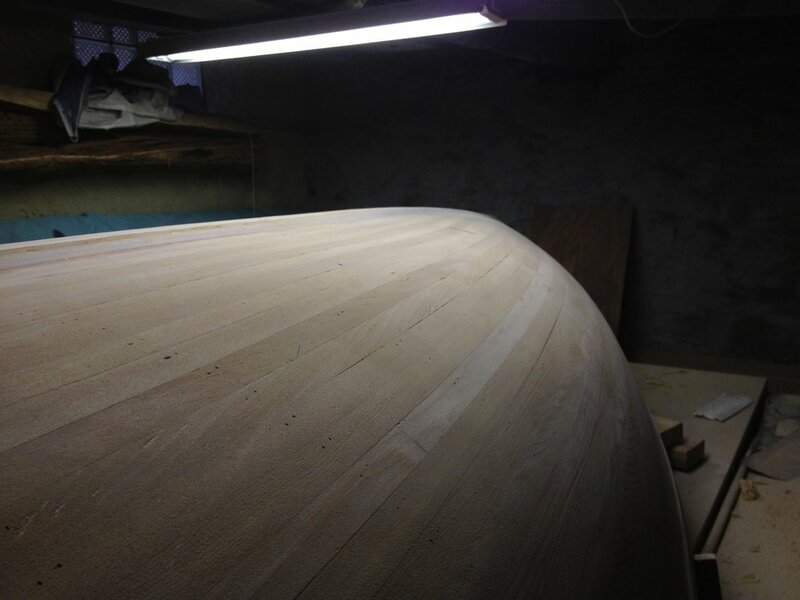 The hull is built of strip planked cedar with yellow pine gunwales and keelson. 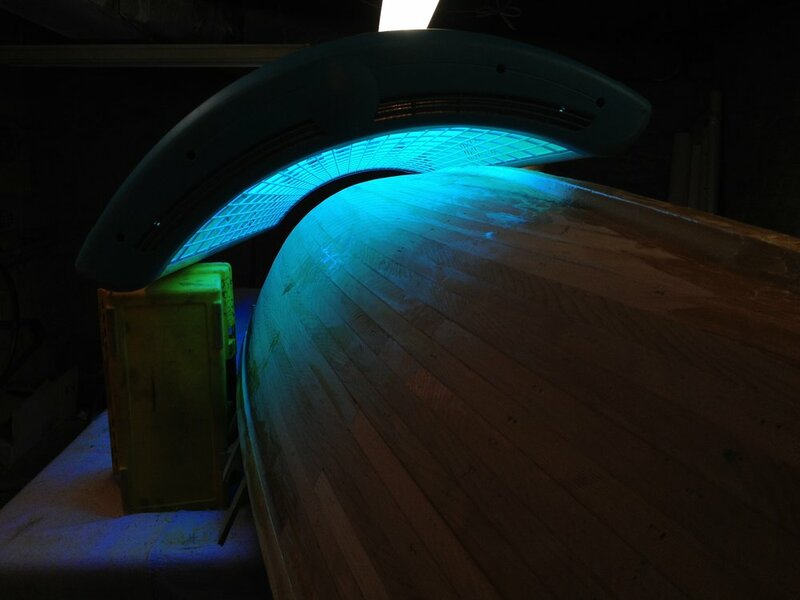 The hull is sheathed in fiberglass and SusComp's UV-cure Eco-resin.